All faithful members are equally blessed by the outpouring of blessings they receive through priesthood ordinances. In Kirtland, when the remaining priesthood keys were restored, the Lord said, “This is the beginning of the blessing which shall be poured out upon the heads of my people.”1 I am grateful for the outpouring of blessings that has come to each of us through the priesthood of God. By the power of the priesthood, this world and everything in it, including each of us, were created. 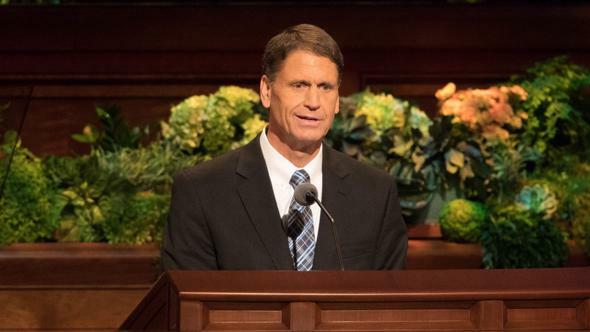 The priesthood is intricately woven into who we are and have ever been.2 As sons and daughters of God, we each have unique responsibilities and roles, and through the blessings of the priesthood, we are all given equal partnership, gifts, and blessings. Last fall our oldest granddaughter was baptized and confirmed a member of the Church. After she received the Holy Ghost, her newest sister was blessed and given a name. The following month, another new granddaughter was named and blessed. Since then I have reflected often on the privileges those little girls enjoy because the priesthood of God has been restored. I hope our granddaughters and grandsons grow up knowing that they are not and have never been third-party observers of the priesthood. The blessings of the priesthood, which “are available to men and women alike,”3 are woven in and through and around their lives. Each of them is blessed by sacred ordinances, and each of them can enjoy the blessings of spiritual gifts by virtue of the priesthood. All faithful members of the Lord’s Church are equally blessed by priesthood ordinances. The first ordinance4 in a child’s life usually takes place when he or she is a baby and is given a name and a blessing. When children reach the age of accountability, they are baptized. 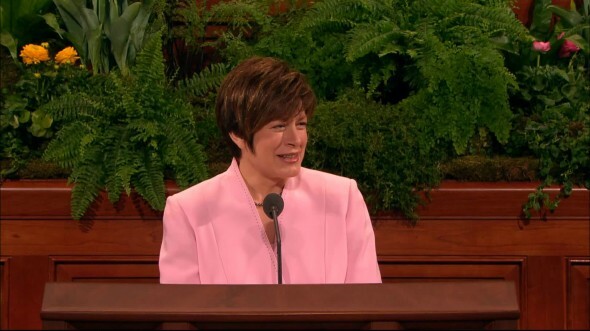 There is not a separate baptism for boys and girls. The same baptismal ordinance is performed for a young girl and a young boy, who are baptized in the same font. When those children are confirmed and receive the Holy Ghost, the same power is given to each of them. They qualify for the help of that holy power through their faithfulness and not in any other way. 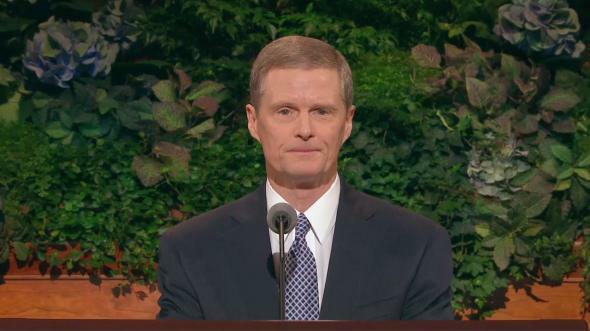 As members of the Church, we are equal before the Lord as we partake of the sacrament. Through our faith in Jesus Christ and the power of His Atonement made possible because of that ordinance, we can all repent and become better. Each of us is equally entitled to a priesthood blessing when we are sick or need added support from the Lord in our lives. A young woman who desires a patriarchal blessing is equally entitled to know her lineage and potential as a young man her same age. The blessings that come to each of them through Abraham are powerful and important. 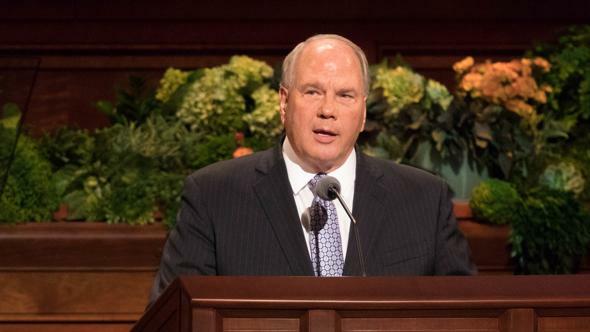 Every elder and sister who receives a mission call is set apart to do the Lord’s work, and each is given authority to preach the gospel of Christ. I saw the power of priesthood blessings when I visited a family where the young father lay dying. Surrounding him were his wife and beautiful daughters. On each wall of that room was at least one picture of the family or the temple. The mother testified of their blessings when she said: “We are empowered and protected by our covenants. Our family will endure forever. 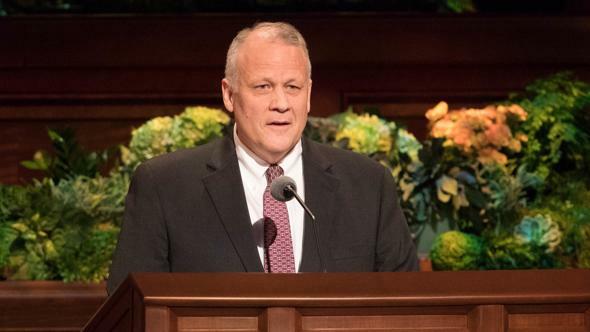 The Lord is watching over us, and we are not alone.” All faithful members are equally blessed by the outpouring of blessings they receive through priesthood ordinances. Moroni said that “there are different ways that these gifts are administered; but it is the same God who worketh all in all; and they are given by the manifestations of the Spirit of God unto men, to profit them. When I was a little girl, I often experienced serious illness. 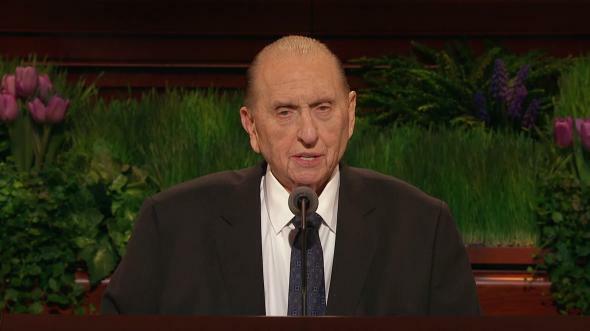 My father was always willing and worthy to use the priesthood power he held to bless me. But I have also felt that my mother’s special gifts contributed to my healing. She was truly gifted in her ability to minister to my needs and help me get well. Her great faith that the Lord would lead her to answers about medical treatment was a comfort to me. How blessed I was to have two parents who lovingly used their spiritual gifts. Then one day I sat in a temple next to a sister who lives in a humble house. I spent two hours at her side. I looked often into her beautiful eyes and saw the love of the Lord in them. 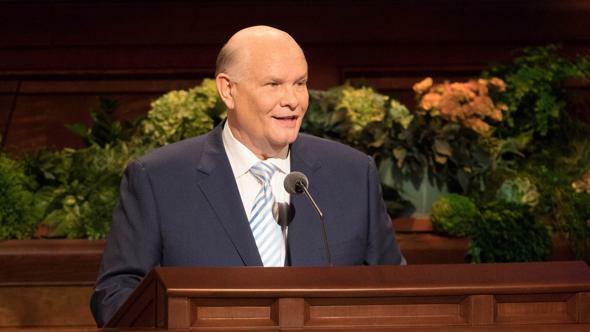 As we finished our work in the temple, I had a powerful realization. In all of the eternal blessings, in all of our most important privileges and opportunities, we were equals. I had been “baptized unto repentance,”18 and so had she. I had spiritual gifts, and so did she. I had the opportunity to repent, and so did she. I had received the Holy Ghost, and so had she. I had received temple ordinances, and so had she. If both of us had left this world together at that moment, we would have arrived equal before the Lord in our blessings and potential. Priesthood blessings are the great equalizer. Those blessings are the same for men and women, for boys and girls; they are the same for married and single, rich and poor, for the intellectual and the illiterate, for the well-known and the obscure. 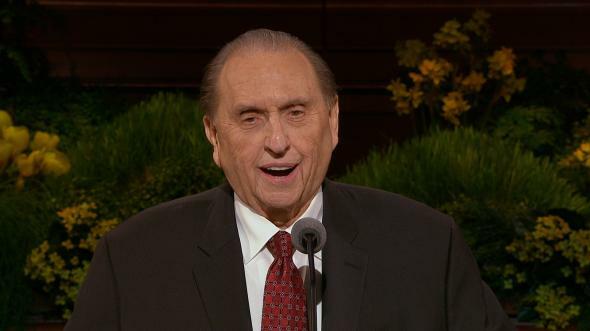 I am grateful that through the infinite fairness and love of God, all men and women were given equal partnership, gifts, blessings, and potential through priesthood ordinances and spiritual gifts. 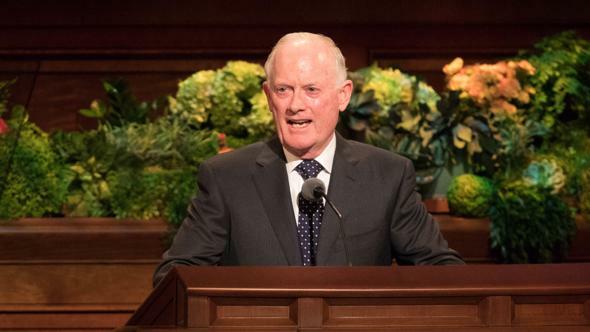 Because of the priesthood, which is woven in and around and through our lives, every power, every covenant we need to do our life’s work and walk back to our heavenly home has been poured out upon our heads. In the name of Jesus Christ, amen. See D&C 88:36–45; Abr. 3. 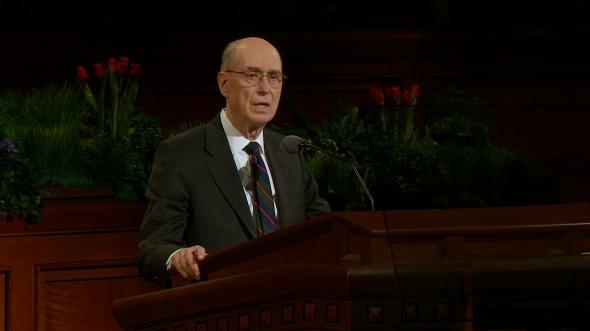 Dallin H. Oaks, “Priesthood Authority in the Family and the Church,” Liahona and Ensign, Nov. 2005, 26. See Family Guidebook (2001), 18. Ezra Taft Benson, “What I Hope You Will Teach Your Children about the Temple,” Tambuli, Apr.–May 1986, 6; Ensign, Aug. 1985, 10. Tambuli, Apr.–May 1986, 6; Ensign, Aug. 1985, 10. Deseret News, July 30, 1862, 33. Boyd K. Packer, “What Every Elder Should Know—and Every Sister as Well: A Primer on Principles of Priesthood Government,” Tambuli, Nov. 1994, 21; Ensign, Feb. 1993, 10.